Celebrate Independence Day Weekend with Karen Peck & New River, one of Southern Gospel Music’s most famous groups. They will be performing on Friday, July 6th, 2018, at 7:00 pm at the Historic Golden Windmill, Golden, IL. Everyone is invited and a free will love offering will be collected. 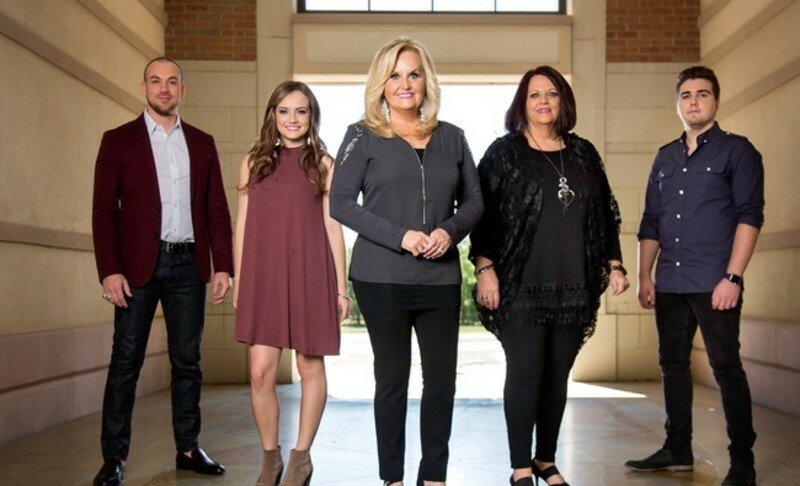 Karen Peck and New River is a 5-time Grammy Award Nominated and 6-time GMA Dove Award Winning Southern Gospel Group. The group has over 18 number one hits. Karen’s flawless, delightful soprano voice has made its way into the hearts of Gospel Music lovers across the country and garnered an unprecedented 11 Favorite Soprano Fan Awards from the readers of The Singing News Magazine. The group sets a new standard for musical perfection with rich vocal harmony that is shaded with the sophistication of Southern Gospel, country, and progressive musical sounds. Karen Peck & New River today stands not only as a talented and successful recording artist, but more importantly, effective messengers presenting the Gospel through Jesus Christ. Sandwiches and other concessions will be available starting at 5:00pm. Please come early to share some great food and fellowship with the community. What better way to end a great 4th of July week than an inspirational Southern Gospel concert with a legendary group like Karen Peck & New River?